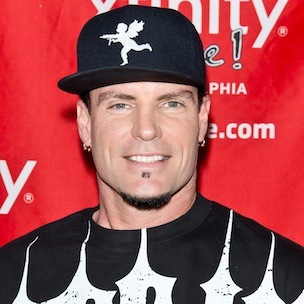 Vanilla Ice Disses Wiz Khalifa, Juicy J & Ty Dolla $ign's "Shell Shocked"
Vanilla Ice says that “Shell Shocked,” a song from the forthcoming Teenage Mutant Ninja Turtles movie featuring Juicy J, Wiz Khalifa and Ty Dolla $ign, is not up to par. In 1991, Vanilla Ice performed “Ninja Rap” for Teenage Mutant Ninja Turtles II: The Secret of the Ooze. He also appeared in the film as himself. Teenage Mutant Ninja Turtles is slated to arrive in theaters Friday (August 8). Listen to “Shell Shocked” on HipHopDX here. Last year, Vanilla Ice, whose biggest hit was 1990’s “Ice Ice Baby,” said that he changed the way Rap music was made.